Precision machining dimension up to + / - 0.001mm, the narrowest machining groove width 0.1 x 100mm, linear tolerance up to 0.001mm, cylindricity up to 0.004mm.And other parameter precision. 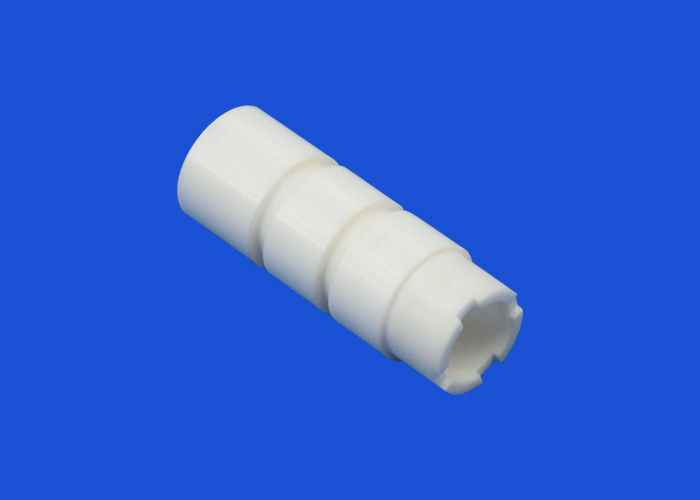 We are a professional manufacturer of Zirconia ceramics andalumina ceramic structural parts. We have more than 10 senior engineers,technical backbone, more than 60 workshop technicians. We produce strengthened structure zirconia ceramic bar, ceramic tube, ceramic shaft, ceramic plate, ceramic sleeve, ceramic valve, ceramic plunger and ceramic arm. The products are applicable to instruments,medical instruments, clocks and electronic products, mills, energy and power, autocar and military and some other high-end areas. We will send by DHL UPS TNT FEDEX EMS as request . If we can Provide samples? How we can pay for? How many time will the products be finished? 1. within 7 working days for sample making. 1.we provide factory price,so we don't bear the shipping fees usually. 2. within 48hrs delivery once be paid from our factory,except the special situation. 3.we can contact the shipping company or your shipping agent. What can we benefit for you? 2.First class of salesman to service for every customer's demands. 3.Excellent design staff to service for customer ,if you provide information and sample. 6. what is your purchase quantity ?